Abstract. New scientific and technological developments challenge us to reconsider the moral status of entities such as chimpanzees or artificially intelligent robots: what place should we give them in our moral world order? Engaging with a variety of theoretical sources, this book offers a relational approach to moral status that questions individualist and objectivist assumptions made in these discussions, and proposes a less dualistic view by emphasizing the entanglement of natural, social, and technological relations. But it also asks why it is so hard to move towards a more relational understanding. The author’s answer is an original discussion of the conditions of possibility of moral status ascription. 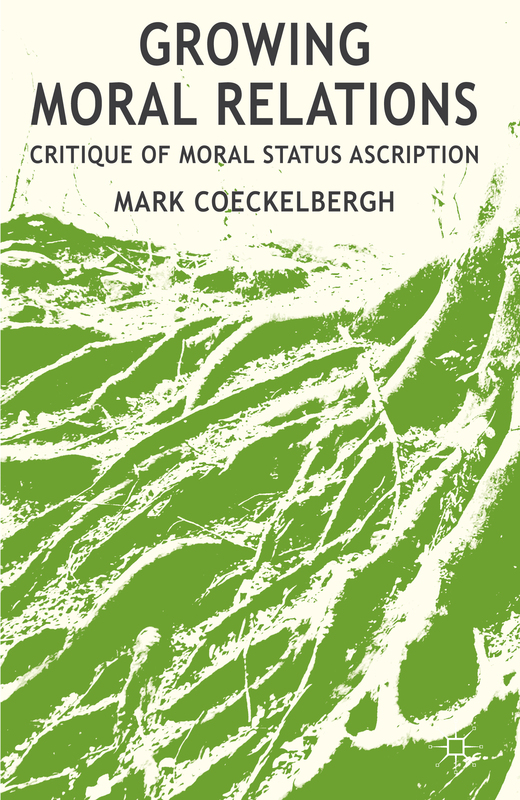 Influenced by Heidegger and Wittgenstein, he argues that our specific way of ascribing moral status, and indeed the very project of moral status ‘ascription’, is made possible by, and limited by, particular linguistic, social-cultural, natural-bodily, material-technological, religious-spiritual, and historical-spatial conditions. The ‘living’ moral epistemology that emerges from this ‘philosophical yoga’ –an exercise in becoming more aware of your moral breathing – urges us to recognize that changing our moral thinking depends on the growth of our relations and hence of our form of life.